Those who wrecked the earlier blockade vow to be back in three days to re-enact their act. Orang Asal protesters against the proposed Baram Dam erected a new blockade in Long Kesseh village at KM 15 Jalan Samling to replace a year-old one demolished Tuesday morning by police, Forestry Department officers and loggers seeking access to the timber in the area. There’s another blockade within the same vicinity which was left untouched. Pakatan must realise that Umno is a formidable opponent with deep pockets, large armies and an uncanny ability to go into the elections with all the positives stacked in their favour. “Based on present redelineation, Pakatan Rakyat should aim to win 135 parliamentary seats in GE14 to capture Putrajaya, with PKR, PAS and DAP each winning 45 seats and a parliamentary majority of 48. The Penans have hit a stalemate on their negotiations with state government and the Murum Dam main contractors Sarawak Energy Berhad (SEB) over compensation and resettlement issues. 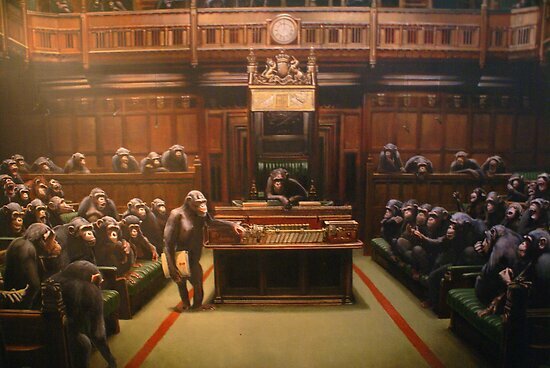 Something strange happened in Parliament. In the morning, Minister Nancy Shukri tabled a motion to suspend Padang Serai Member of Parliament (MP) N. Surendran from Parliament for six months for insulting Speaker Pandikar Amin Mulia. The sly and charismatic President Sukarno of Indonesia once said that “beri aku 1,000 orang tua, niscaya akan kucabut semeru dari akarnya, beri aku 10 pemuda niscaya akan kuguncangkan dunia”. IT has been close to two months since I wrote about the Sri Aman project proposed to be built on land once gazetted as open space. Thus far, the developer has issued no statement to rebut my findings. Nor have their lawyers followed up on threats to demolish some of the residents’ backyards which have allegedly encroached into the developer’s land. PKR president Wan Azizah, seen here with Anwar, has demanded two PKR elected reps in Sabah give up their seats after they quit the party in the past week. In light of one assemblyman leaving and another on the verge of quitting, PKR wants to enforce agreements its elected officials in Sabah had signed to vacate their assembly or parliamentary seats if they left the party, said president Datuk Seri Dr Wan Azizah Wan Ismail. Prior to GE13 last May, political observers and the opposition feared that it would be the dirtiest general election ever. Ironically, they were not disappointed. Umno spent and splurged public funds in the billions, with the prime minister, his deputy, other ministers and deputy ministers announcing this plan or that programme, and passing out this allocation or that grant. Sungai Limau by-election results: Is this the end of Mahathirism? Mahathir in Sungai Limau in the final days of campaigning. Analysts say he might have played a role in swaying voters who were still undecided on voting day. – The Malaysian Insider pic by Najjua Zulkefli, November 5, 2013.When Tun Dr Mahathir Mohamad descended on Sungai Limau during the last hours of campaigning on November 3, one longtime PAS activist from Alor Star described it as a “relief”. The latest upsurge in speculation about the position of Khalid Ibrahim as Selangor’s Menteri Besar is owed more to the mischief of Umno mouthpiece Utusan Malaysia than to rumblings in his own party about his conduct of his office. Khalid’s handling has been the subject of criticism for some time from within PKR, and not just from his putative rival for the post, Azmin Ali, the deputy president of the party. Teachers working for the BN government should support BN component parties, says a Sarawak MP. Teachers working in the Barisan Nasional administered central and state governments must be loyal to the ruling party. IT would seem there is still dust in the air even though it’s been nearly four months since the 5 May 2013 general election known as GE13. Post-elections, Barisan Nasional (BN) filed 21 election petitions while Pakatan Rakyat (PR) lodged 35 of its own in both parliamentary and state seats. Additionally, there has been talk of a unity government even though this has been denied by Prime Minister Datuk Seri Najib Razak. Why bother with election petitions? And what’s beyond these election petitions and all that talk of a unity government? What else do citizens need to be aware of and be vigilant about if Malaysians are to get a cleaner and fairer electoral system come GE14? The Nut Graph asks political scientist Dr Wong Chin Huat. 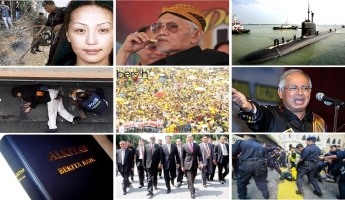 Malaysian society has been preoccupied with political discussion since the electoral ‘tsunami’ in of GE-12 back in March 2008. The result of the last election GE-13 left many feeling that the system, or distortion of the system, cheated them out of the chance of changing the political landscape of the country. However political aspirations, expectations, and debate have been primarily limited to the formal federal and state political arenas. After failing in the court of law, Pakatan Rakyat is turning back to the court of public opinion to press its case on election fraud. The opposition will present its evidence before two commissions of inquiry and the Bersih People’s Tribunal to expose wrongdoings in the May 5 general election. The opposition coalition said this was the path it had to take since its petitions before the court were thrown out even before the merits were heard. Sarawak PKR has decided not to contest the May 5 general election results in Saratok parliamentary constituency and is focusing on Baram instead where it lost the seat by 194 votes. Sarawak PKR’s Roland Engan has filed an election petition against Anyi Ngau, the Barisan Nasional candidate for the Baram parliamentary constituency. Engan, who filed the petition at the Miri High Court, named Ngau and returning officer Joseph Belayong Punan as the first and second respondents respectively. Hope and scepticism abound after government vows to tackle endemic graft that continues to anger ordinary Malaysians. Kuala Lumpur, Malaysia – When a Malaysian court rejected a former chief minister’s appeal against a corruption sentence recently, it stirred vigorous debate in the Southeast Asian nation. The DAP has been accused of spending RM100 million to RM1 billion on recruiting 3,000 cybertroopers to launch cyber attacks against the BN over the past six years. No one can ascertain whether the allegation is true, unless evidence is found. However, the cyber warfare between the ruling and alternative coalitions has long existed and not all political Facebook pages are supporting the DAP, there are also some that support the BN. I have little difficulty in confessing that I am a Pakatan Rakyat supporter. After weighing the pros and cons of either coalition, the answer that emerges seems rather intuitive in nature. The current Barisan Nasional (BN) is corrupt, greedy and tyrannical — the worst kind of democratic government possible. Compare that to Pakatan — freedom fighters, typical wage-earning leaders, who also happen to be the electoral underdog. It is unthinkable when some leader within the Opposition block suddenly starts preaching about bipartisan politics and is sadid to be seeking to get into dialogues of sorts with a party that took the mantle to rule with a minority popular vote-winning. It is strange how some politicians will start making roundabout turns. Let us start with the basics. The bottom line reality is the opposition secured 51% of popular votes leaving BN with a minority count of 47%. But BN went on to form the government. Anwar speaks during a rally in protest of the general election results at a stadium in Kelana Jaya, May 8, 2013. — Reuters picKUALA LUMPUR, May 25 ― Former Indonesian vice-president Jusuf Kalla has accused Datuk Seri Anwar Ibrahim of reneging on a peace deal to respect the outcome of Election 2013 that he brokered between the opposition leader and Datuk Seri Najib Razak in April. The Wall Street Journal reported today interviews with all three parties confirming the secret peace deal, and quoted Jusuf as claiming that he had phoned Anwar a day after the May 5 polls and urged the opposition leader to respect the commitment and “look at reality”. Political analysts agree that both Barisan Nasional and Pakatan Rakyat should have a ceasefire and work in a bipartisan effort to help in the national reconciliation exercise. With both Barisan Nasional and Pakatan Rakyat still at loggerheads after the general election, analysts today called for both parties to come together in a bipartisan effort to facilitate the national reconciliation process. Since the 13th general election, several BN leaders have embarked on racial salvos against the Chinese community for voting overwhelmingly in favour of the opposition pact. People queue at a polling station in Gelang Patah, May 5, 2013. Pakatan Rakyat (PR) federal lawmakers have vowed to make full use of their increased parliamentary numbers to ensure constituencies are fairly redrawn when the Election Commission (EC) kicks off the redelineation exercise this year-end. PKR’s Pandan MP Rafizi Ramli reminded that if the exercise involves an increase in seat numbers, a two-thirds majority vote is needed to approve the changes before they are passed by the lower House. The opposition pact did not have an effective strategy to net rural votes, says the election observer group. GEORGE TOWN: Pakatan Rakyat lost the recent general election because its campaign strategy was faulty, not because it was the victim of fraud, according to the Malaysian Election Observers Network (Meonet). Meonet chief Ong Boon Keong said today that his organisation’s ground study found Pakatan did not have an effective strategy to penetrate Barisan Nasional’s rural vote bank, especially in Sabah and Sarawak. 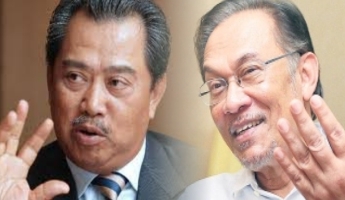 Can BN and Pakatan leaders work together? Academics voice out their opinions on what a Cabinet line-up should consist of and should Pakatan reps be invited to form the govt. 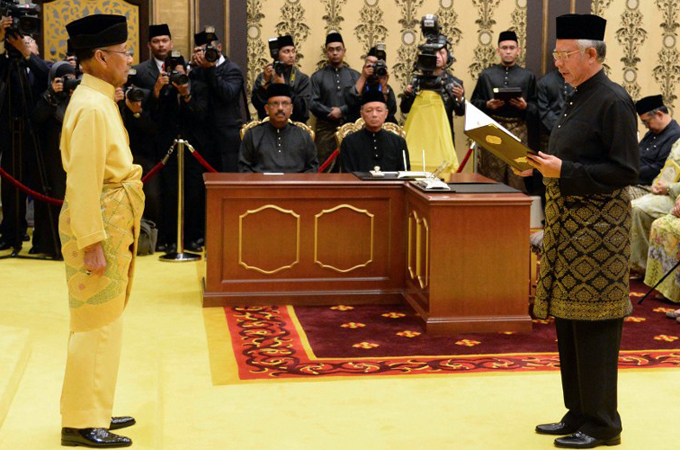 Although some prefer the Cabinet line-up to consist of both Barisan Nasional and Pakatan Rakyat leaders, some felt that such a notion would be impractical. Aruna Gopinath of the National Defence University’s Faculty of Strategic Studies said that although it would be preferable for the Cabinet to have a participatory system where both BN and Pakatan leaders make up the line-up, she questioned the country’s readiness for it. The result was indeed an anti-climax, but those who had longed for change can take solace in the fact that they had fought an honourable battle against all odds. Leading international affairs weekly The Economist has described Prime Minister Najib Abdul Razak’s win in the 13th general election as a tawdry victory which brought to fore a system skewed towards the BN. It stated that with the “huge inbuilt advantages” skewed in the ruling coalition’s favour, it was “remarkable” that the coalition still had to indulge in vote-buying. The dust from the 13th general elections has not quite settled and there is some chance it may be kicked up again as Pakatan Rakyat could challenge some of the results in court. For Barisan Nasional and Najib Abdul Razak, they rule with a minority of the votes, a morally illegitimate government that reflects a flawed and fraudulent election system. In Viewpoints on NTV7 on Monday night, Umno Youth chief Khairy Jamaluddin appealed to the opposition to be magnanimous and accept the GE13 results. I wonder if he would ask his party, Umno, and the Barisan Nasional it leads, to do the same. Instead, one day after the elections, after Prime Minister Najib Abdul Razak had said he would seek national reconciliation and healing, Umno-owned Malay daily,Utusan Malaysiaheadlines ‘Apa lagi Cina mahu?’ (What more do the Chinese want?) When his attention was drawn to it, Najib defended the paper, alluding that Chinese papers do the same. 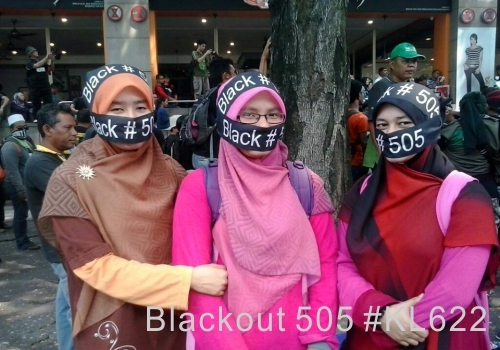 A rally like the one in Kelana Jaya last night whose attendance was in six figures on a matter like the alleged fraud in last Sunday’s polls only means one thing – the issue won’t go away. Like Banquo’s revenant ghost that haunted the murderer in Shakespeare’s Macbeth and brought the culprit to dissolution, this huge rally and its planned sequels are going to disturb the sangfroid of suspects complicit in the grand larceny that took place in the late of the night on May 5, 2013. File photo of a DAP ceramah in Skudai on April 30, 2013, though overwhelmingly Chinese, attracted large numbers of Malays and other non-Chinese too. The outcome of Election 2013 was not simply the result of a “Chinese tsunami” as Datuk Seri Najib Razak has claimed but a major swing in the urban and middle-class electorate that saw Malaysia’s urban-rural rift widen, analysts have said. Uncertain times ahead after GE13? As the dust from the 13th general election settles, it became apparent that BN only garnered 47.38 percent of the popular vote compared to Pakatan Rakyat, which bagged 50.87 percent while 1.74 percent went to independents and other parties. Prime Minister Najib Abdul Razak will now helm a government sustained by gerrymandering but one that does not enjoy the backing of the majority of voters can hardly claim to have the mandate of the people. It is common knowledge that the majority of our mainstream media is skewed towards the ruling political coalition, simply because they own it and have clout to call the shots. It therefore comes as no surprise that some newsworthy events never see the light of day in such media simply because the editors toe the line of their masters. Pakatan Rakyat has thrown BN into the shade with its packed political ceramahs. However, as a political party that has ruled for over half a century, of course BN would not easily admit defeat. There are two major factors that are favourable to BN, namely Malay nationalism and the “shield” in rural areas. The dynamic movements in urban areas and the Chinese community have been expected and these are, after all, Pakatan Rakyat’s strongholds. The static situation in rural areas is, however, enigmatic. These critical days, if one reads – and believes – the Malaysian mainstream media, which seem to have thrown off all pretense of being anything other than BN propaganda machines, one must draw the conclusion that Prime Minister Najib Abdul Razak’s presidential style election campaign is succeeding beyond all expectations. At the same time, if one attends the countless opposition rallies being held throughout the country every evening, one must think that the movement to reform the country’s governance is growing day by day, and is close to the point where the longest-serving non-communist government in the world will fall. First, I want to state that I am not a politician, and do not belong to any political party, by choice. But this does not mean that I do not support a better choice for a better renewed Malaysia! Hudud and violence, frightening voters from casting ballots? If you happen to be charitable and buy local newspapers, you’ll notice the headlines this past week has about Islamic criminal law hudud and rising violence in the GE13 campaign. Add to that explosion of murders involving guns and knives. Today, the MCA-owned The Star daily front-paged the surge in electoral violence across the country, none of which occurred in the past 24 hours. 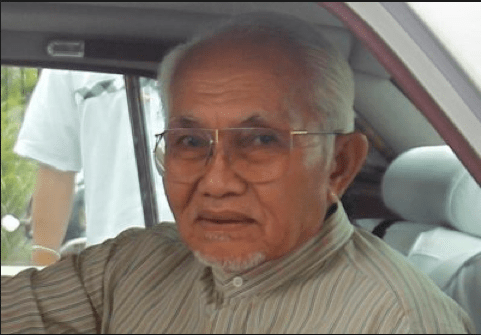 Inside his Rolls Royce – fear is opening Taib’s tight purse…. What better sign of BN’s panic that they may lose this election than the frantic handouts and sudden promises of ‘projects’ that we have been seeing this week? In 2008 the average election bribe that BN paid to poor rural folk per vote was a mere RM10. Yet this week the timber tycoon MP Tiong Thai King was going round offering a fat RM1,000 each! Has Najib erred in his insistence on fielding ‘winnable’ candidates? Umno president Najib Tun Razak began talking about fielding “winnable candidates” as early as 2010. The mood in Umno then was to blame Najib’s predecessor, Abdullah Ahmad Badawi, for Umno’s dramatic losses in the 12th general election. Many said he blundered in his choice of candidates by accepting the proposals of the state Umno chiefs instead of listening to the grassroots. In little more than a week from now, Najib Abdul Razak will be faced with the fact that he and his phoney 1Malaysia have finally lost Malaysia, and the vast majority of Malaysians will be congratulating themselves on having won their beloved country back. Election watchdog Pemantau claims both sides of the political divide committed various election misconduct during nominations last Saturday. Pemantau Pilihan Raya Rakyat (Pemantau), an independent election watchdog, has claimed that there were various acts of misconduct committed by supporters of both sides of the political divide during nominations for the country’s 13th general election, on April 20. While BN seems to be slightly ahead in this polls for now, the ground shifts fast during the campaign period. With just two days to go before nominations for the country’s 13th general election, the ruling Barisan Nasional (BN) seems to be ahead in the race, especially in terms of candidate selection and preparation for the polls. Well, the dates have finally been set and Malaysia heads towards the most competitive electoral contest in the nation’s history. It is important to step back and look at how and why GE13 is competitive. The broad reason is clear: this election offers the possibility of an electoral transition of power. More power is in the hands of ordinary Malaysians than ever before. 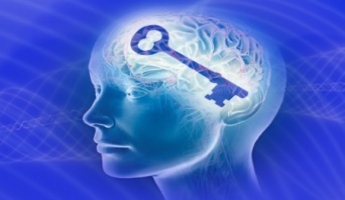 The underlying dynamics that might make this change happen however, are more obscure. BN copying more than 20 offers from Pakatan’s manifesto is not mere coincidence, it simply shows Umno-BN are bankrupt of ideas. 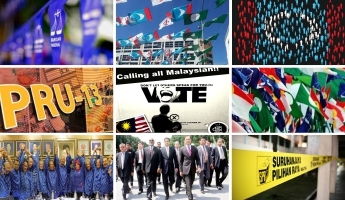 For the forthcoming 13th General Election, one of the major factors most voters especially the fence-sitters will be looking out for will most likely be the respective manifestos of Pakatan Rakyat (PR) and Barisan Nasional (BN). Why does the rakyat want change as promised by Pakatan Rakyat and do not seem the least fascinated with BN’s calls for transformation? Firstly, the rakyat are tired to the bone. They, the working middle-class that forms the bulk of decisive votes, have been struggling all these while under the BN regime. Yes we have fascinating skyscrapers. Yes, we have a Disney-like city carved out in Putrajaya. Yes, we have oil. Yes we have this and that. Former inspector-general of police Musa Hassan today said the police must ensure peace if there was a peaceful transition of power. “The police must ensure the situation is calm for a smooth transition of power. “If there are any parties that are planning to do something (to disrupt the transition), they must take action straight away,” he told a press conference in Petaling Jaya this afternoon. Taib has been demonised: he is the distillation of all our anger and discontent. But he is a symptom of a deep-seated cancer. According to conventional wisdom, without Taib, Sarawak would be richer, happier and more harmonious. As with any oversimplification, this is partly true. But Taib did not come to power, and dominate Sarawak for 32 years in a vacuum. London-based Radio Free Sarawak and Radio Free Malaysia have been jammed and their online portals inaccessible after being heavily hit by distributed denial of service (DDOS) attacks. 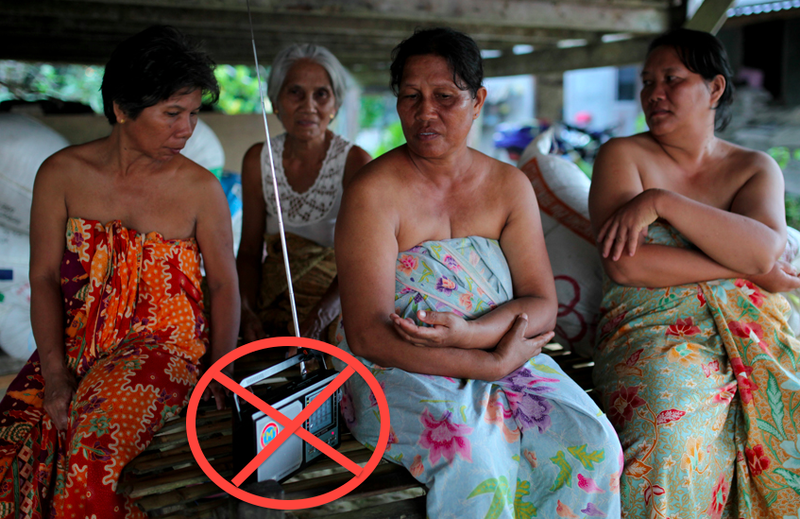 “There have also been attempts at broadcast interference on both radio stations by jamming from different parts of the world over the past few days. 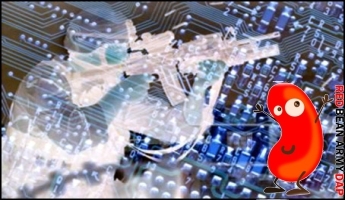 Cyber Mania And Radio Jamming – BN Falls Back On Cheating! BN have effectively acknowledged that they have to cheat in this election and cannot afford the opposition view point to be heard by voters. Over the weekend they have spent large sums of public money launching full-scale attacks on Radio Free Malaysia and Radio Free Sarawak. The BN general election manifesto appears to be aimed at outdoing Pakatan Rakyat through populist policies and this competition may not bode well for the country, analysts say. “It is very unfortunate that this political contest (the 13th general election) has lead towards more populist policies. “The nation has finite resources and the more (cash handouts) you give, the more revenue you will need or the deficit will increase,” political analyst Khoo Kay Peng (left) said when contacted. There are many examples to show that the BN camp wil always engage in nonsense. Now that Parliament has been dissolved, one can expect more slick tricks executed by Barisan Nasional’s lackeys. A journalist reported in Harakah ( April 5-7) that in Kedah for the past one month or so, many people there have been getting what can be termed as a “mysterious phone call”.